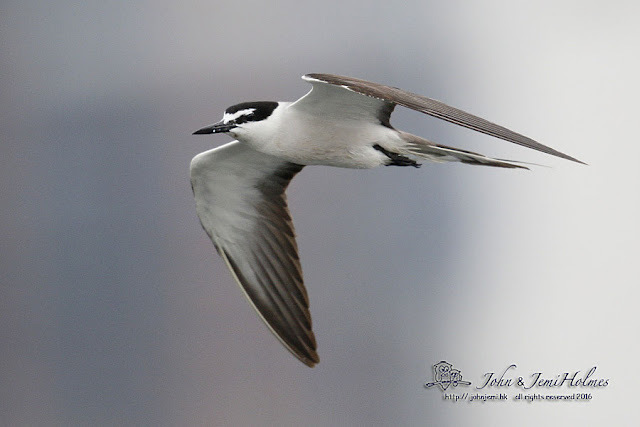 From the Tap Mun Ferry - Sooty Tern and local breeders. 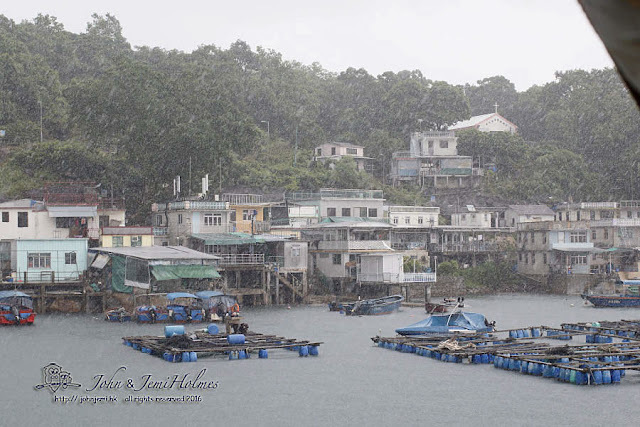 Typhoon "Nida" swept into Hong Kong on the afternoon of August 1st, and swept out again early on the 2nd. Gusty winds and heavy showers meant that most shops and businesses stayed closed for the rest of the day. 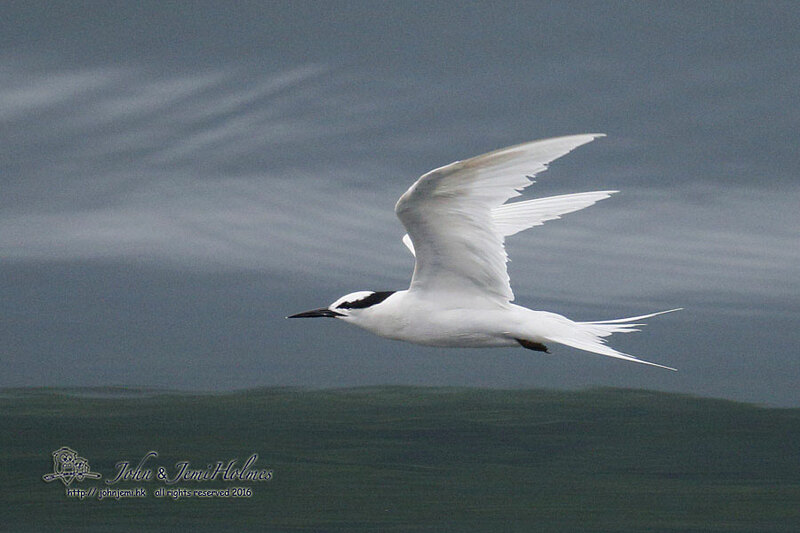 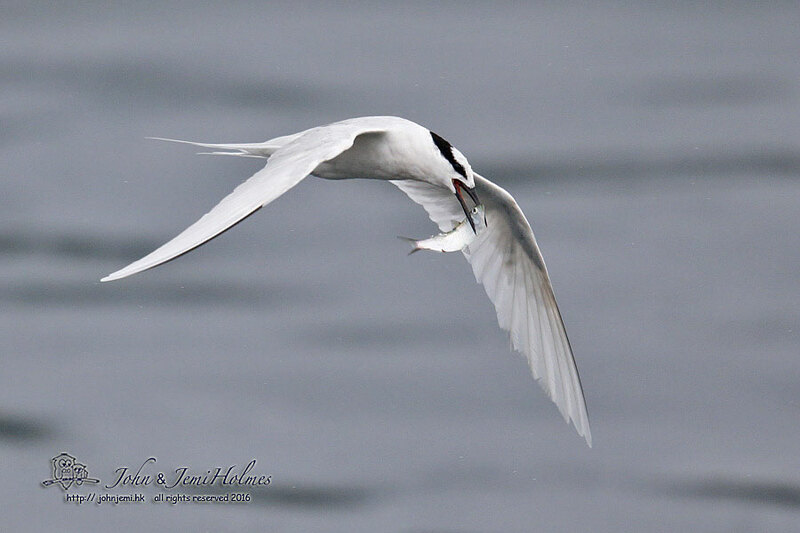 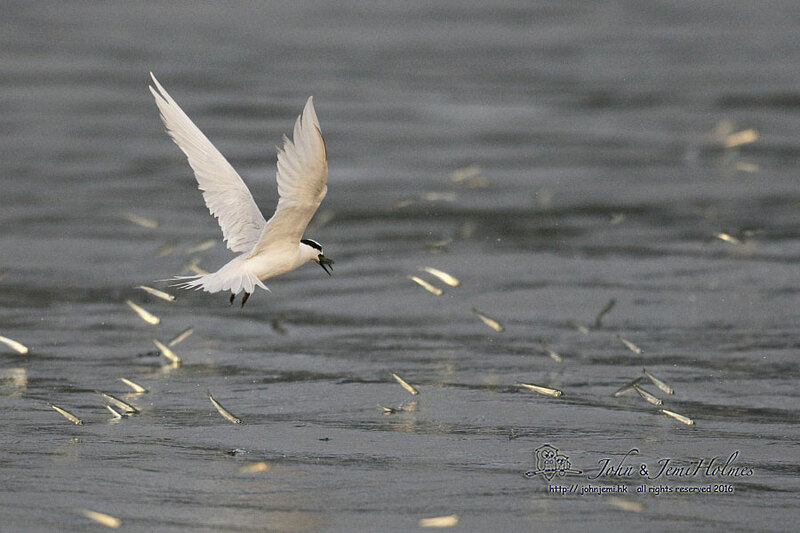 To my surprise a feeding flock of about two dozen of HK’s breeding terns began to follow the ferry almost immediately. 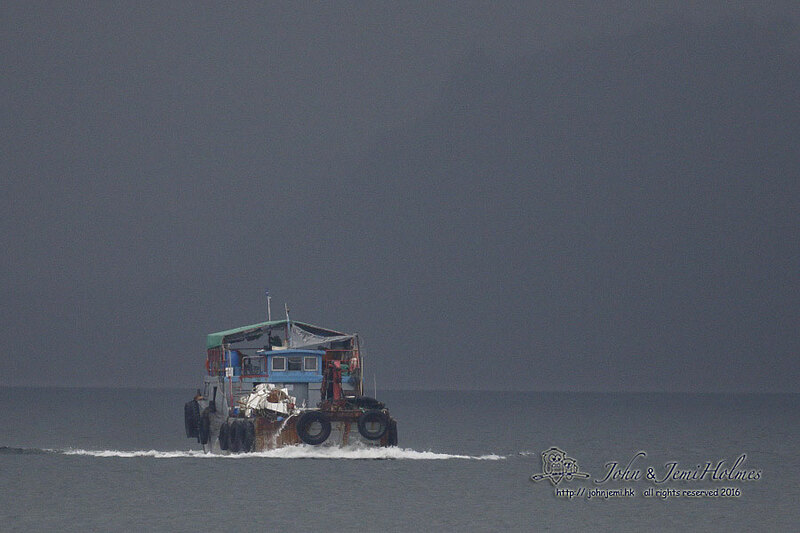 The storm had evidently pushed them a lot deeper into Tolo Harbour than usual. 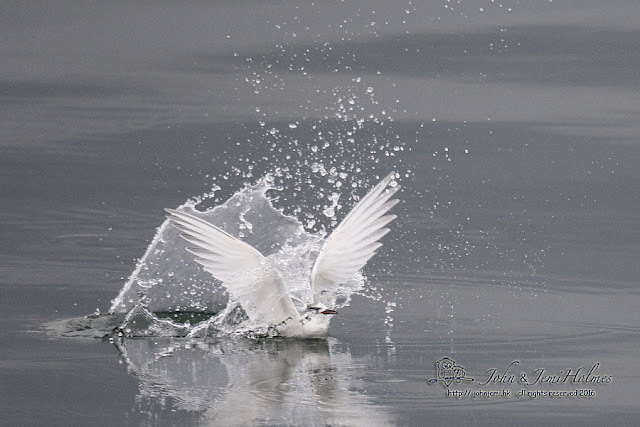 Among the Roseate, Black-naped and Bridled Terns was a single, larger, darker bird. 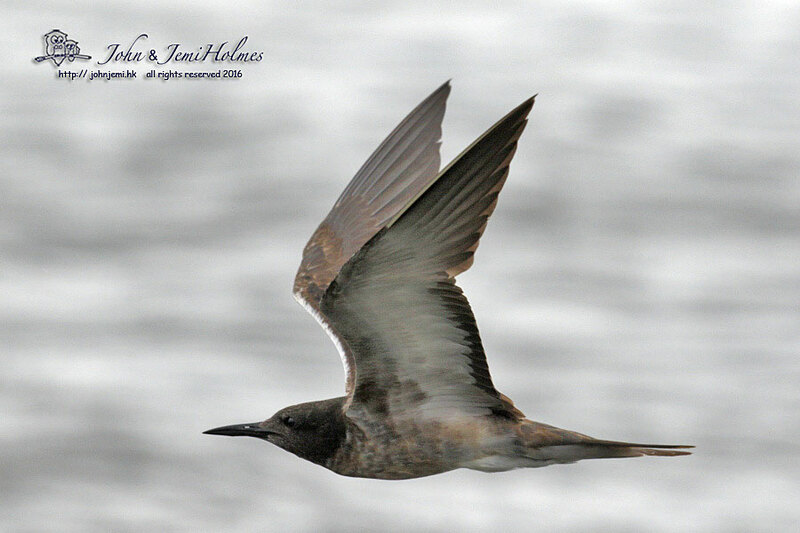 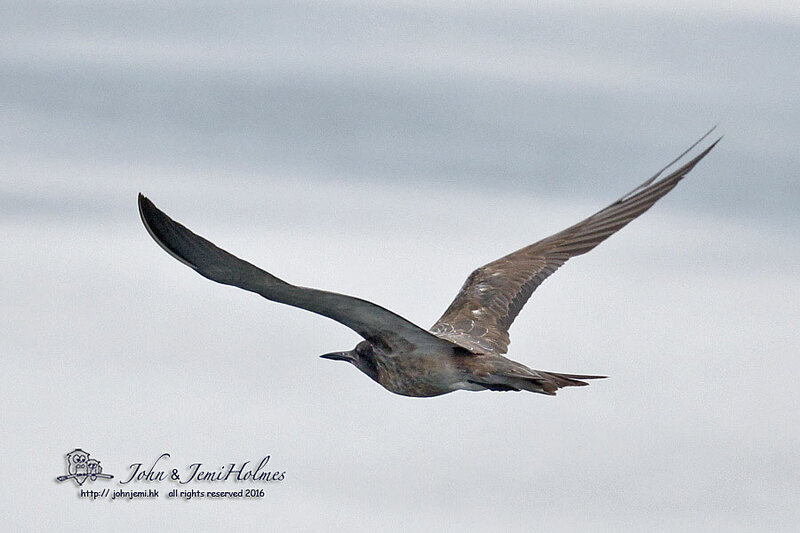 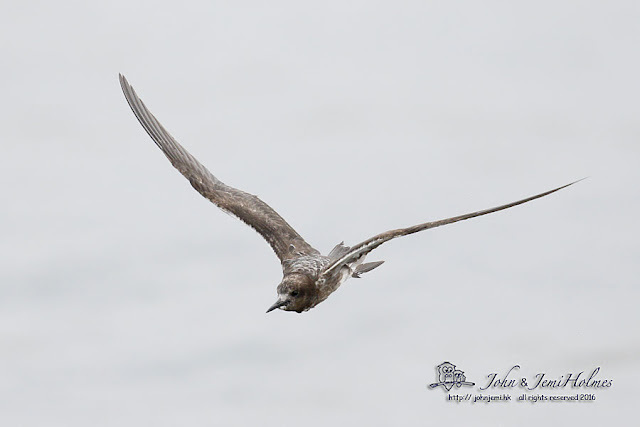 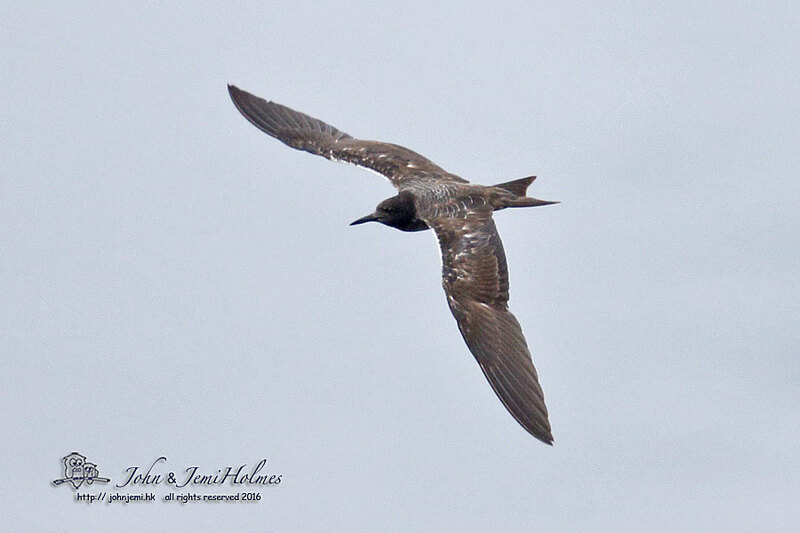 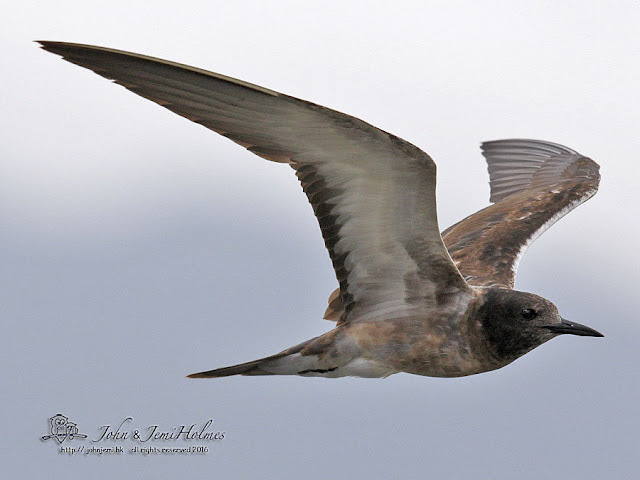 It was an immature Sooty Tern. 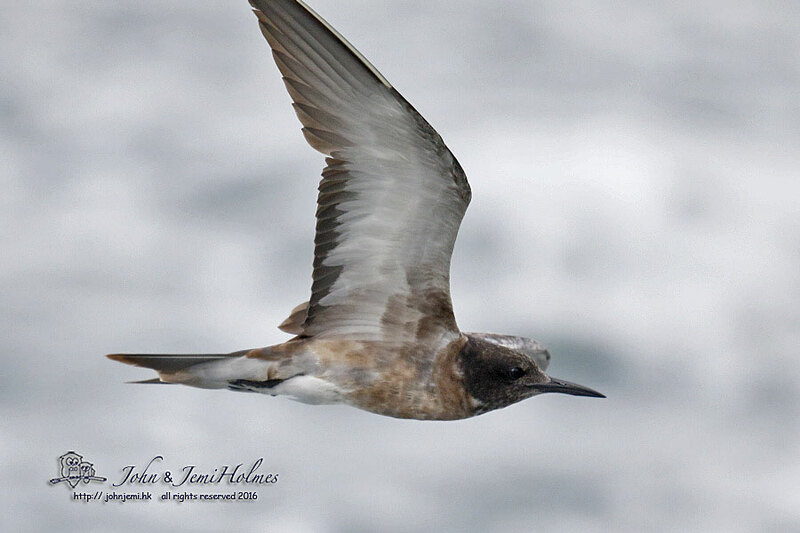 I knew that there were fewer than ten Hong Kong records of this usually pelagic species, so I sent out messages on a couple of Bird News “WhatsApp” groups. 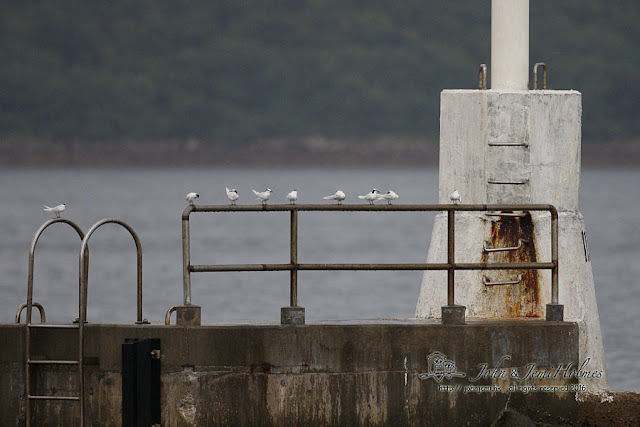 The terns, however, didn’t follow the ferry into the first stop at Sham Chung and didn’t rejoin the ferry when we continued eastwards towards Tap Mun Island and Wong Shek. 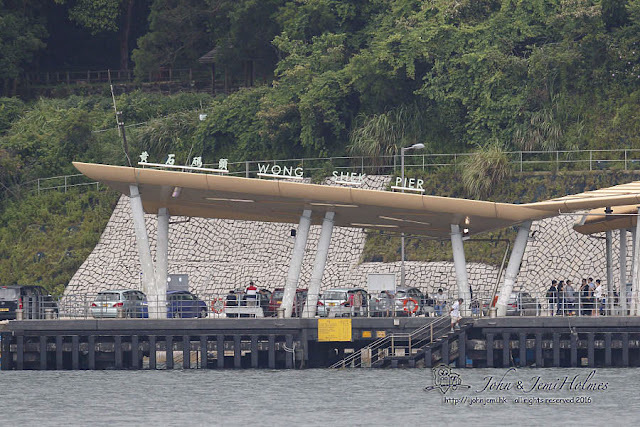 So I abandoned my original plan of getting off at Wong Shek Pier, and went back on the ferry towards Ma Liu Shui. 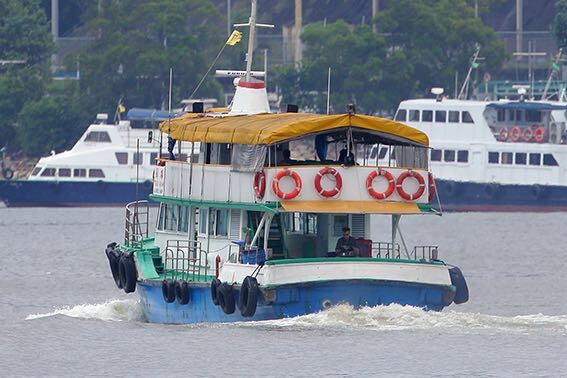 Fortunately, the same Sooty Tern appeared as the ferry approached Ma Liu Shui Pier at about 12:15. It was photographed by Peter WONG from the shore near Ma On Shan. 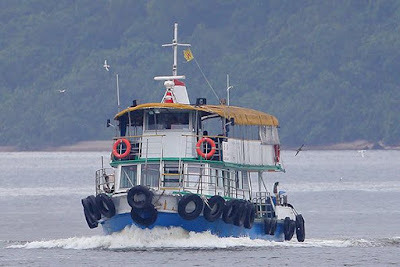 His photos appear below.You can see the Sooty Tern to right of the ferry. That’s Yours Truly at the back of the ferry. Well, I just HAD to go out again on the 15:00 afternoon ferry. 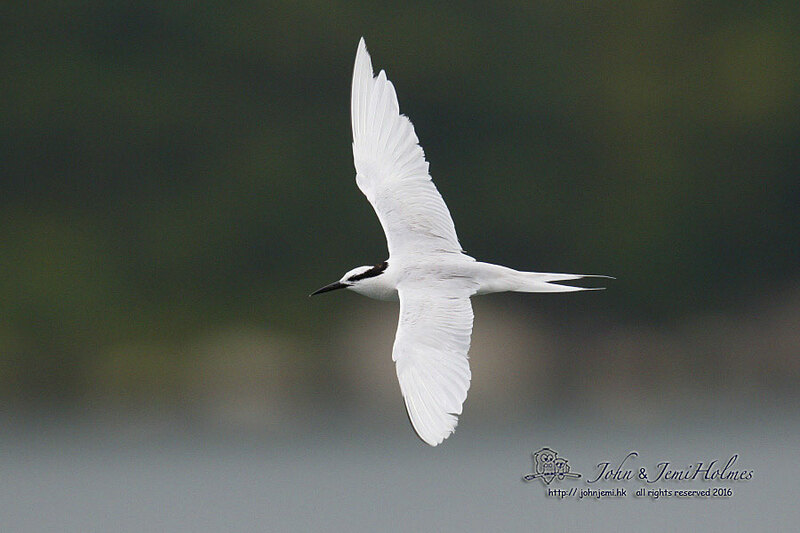 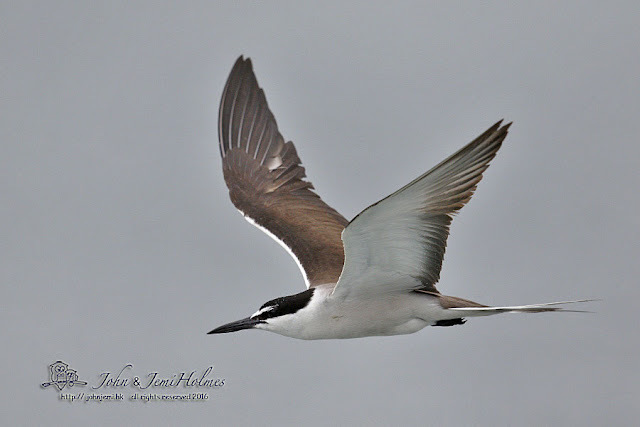 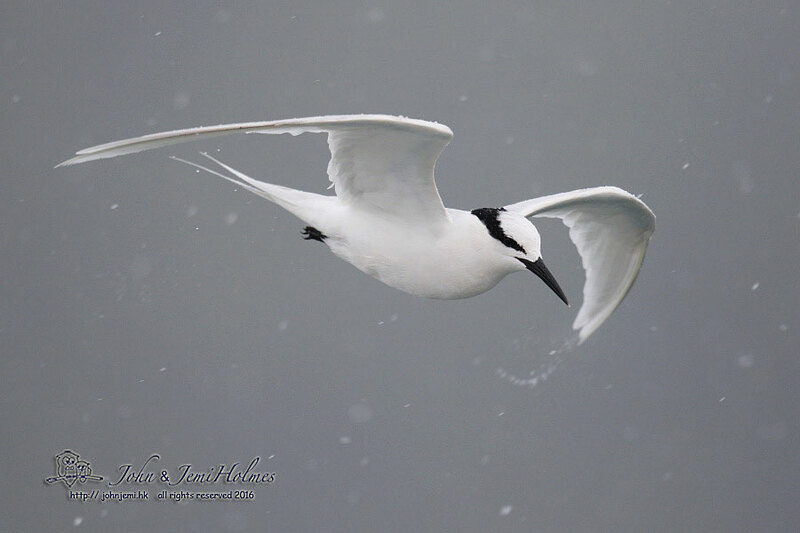 Peter and Meiling Tang joined me, and we got one Sooty Tern flying past, photo below. 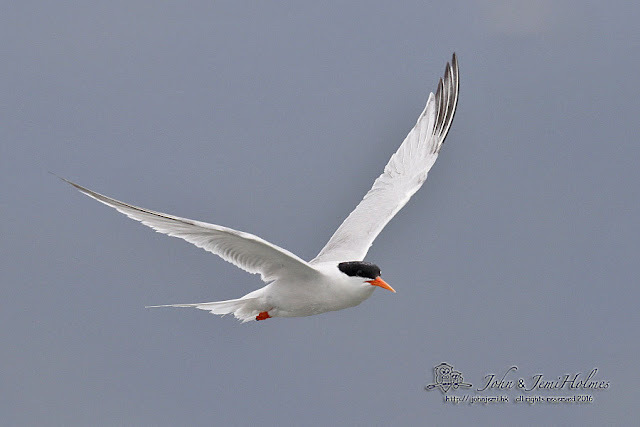 Later, Graham Talbot told us from the shore that there were actually TWO Sooty Terns around, and closer examination of the shots of the afternoon Sooty show it to be a different individual from the morning’s bird. 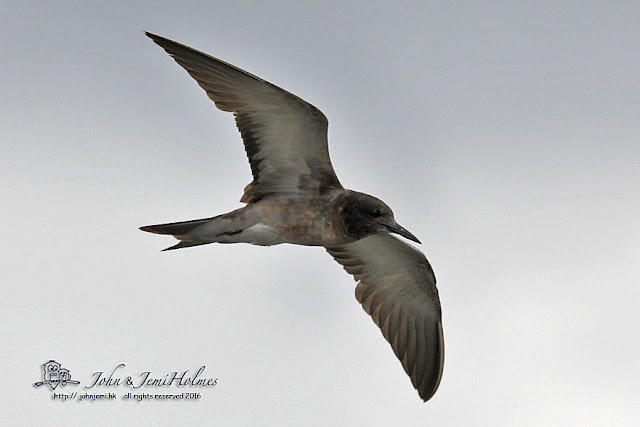 That was about it for birding thrills, though. 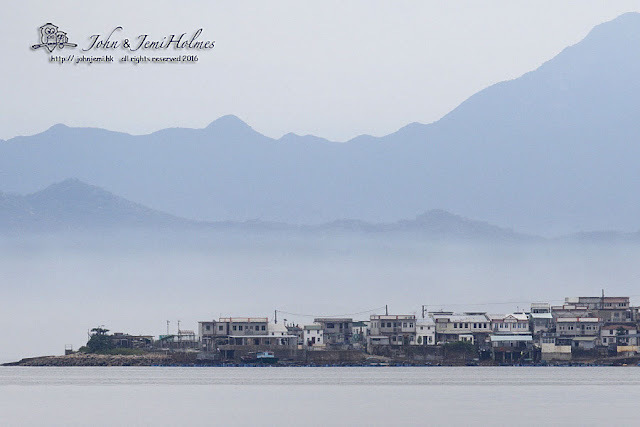 We enjoyed the trip to Wong Shek and back, with the coastal scenery emerging from the mist, and the Black-naped Terns catching sprats in the late afternoon sunshine. But there was no new sighting of Sooty Tern for us back near the pier at Ma Liu Shui. 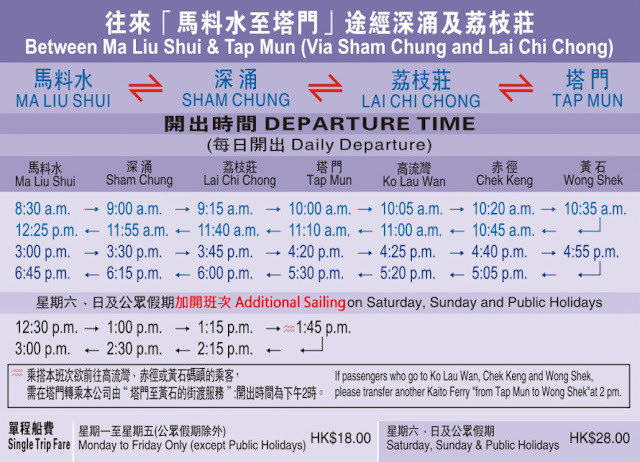 The Tap Mun Ferry is pretty cheap for pelagic birding, the mid-week return fare is just HK $36 (less than five US dollars) for half a day’s entertainment. If you like terns, that is. @Tsui Wah Ferry Service (HK)Ltd. 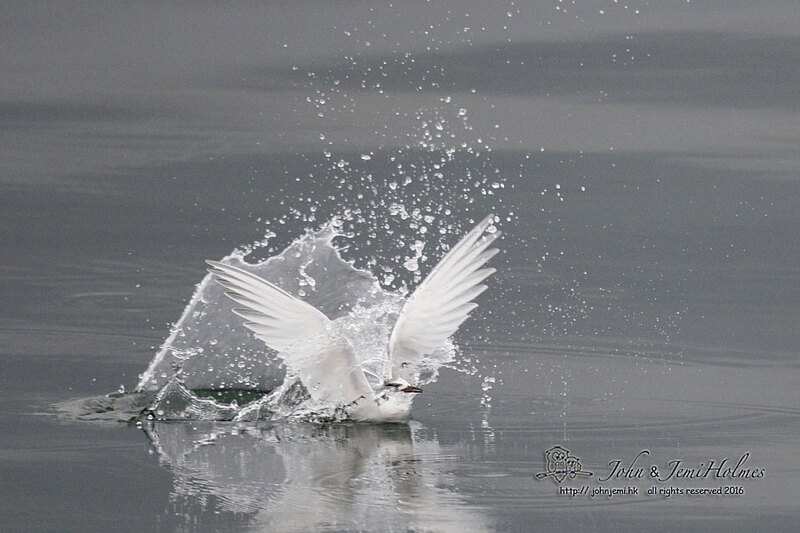 The Scotsman in me says I must try it again soon.